A regionally respected Charlotte, NC based landscape group specializing in design and installation for residential and commercial clients. A transformative garden is so much more than a decorated yard. It is a cohesive space that blends seamlessly with the architecture of the home. It tells the unique story of the land and of those who live there. It contains a spark of magic that beckons people to connect to it, explore and experience it. Such a space is authentic in its artistry by being so much more than the sum of its parts. It is a serene, nurturing place for life to happen. Building these gardens is our craft and our passion. Corona Landscaping offers professional property maintenance services as well as the finest landscape designs, installs, and renovations. Every home is unique, from the style of the decoration, to the color of the walls, to the family that lives inside of it. Why settle for a landscape that looks just like the rest of the neighborhood? Our design/build team at Corona Landscaping can help you reflect your personality on the outside of your home. With a design process that is very reliant on input from you, your family, as well as your needs, wants, and visions. Our goal is to create simple, yet elegant landscapes. If maintaining your landscape is not part of that vision, Corona Landscaping also has a maintenance division that can help. Our annual turf programs cover everything you need to do to keep your landscape looking neat and well-kept. Contact us to schedule an initial consultation to discuss the potential of renovating your exterior space. Let us give you a landscape that you can be proud of! Paragon Landscape Management is a turn-key firm designed to meet every residential and commercial landscape need. 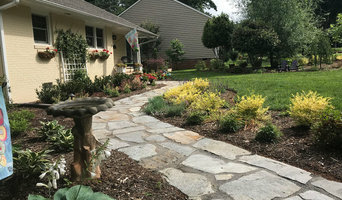 We serve the greater Charlotte area with an objective to provide our clients with superior quality by being the most reliable and creative landscape company in the business. Our emphasis is on customer satisfaction and a deep understanding of our client's desires. We pride ourselves on the fact that every client matters and only complete satisfaction is the end result. 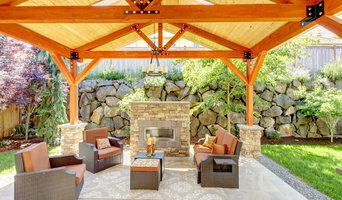 PLM will design, construct and maintain your ideal outdoor living space. Our expert design team works directly with our clients from consultation to implementation. Our masons provide the highest quality stonework & masonry in the Carolinas creating your outdoor fireplace, patio, retaining wall, kitchen, bar, fire pit, seating & more. PLM offers products & solutions for every detail of your landscape including irrigation, lighting, drainage, grading, water features, Xeriscape, decks, fencing, arbors & gazebos and comprehensive landscape maintenance. Contact us today to arrange a consultation with our expert design team and take the first step toward making your outdoor dreams a reality! Solow Design Group, long recognized among the best of Charlotte's landscape design professionals, has established a reputation for designing and building landscapes that exceed expectations. Whether it's a ten by ten foot city terrace or a waterfront estate, we apply the same principles of design and the same passion for design excellence that has kept us on the cutting edge of Charlotte's landscape architectural community for more than 30 years. The success of our projects, described by many as visionary, versatile and flawless, is based on our ability to understand the aesthetics and values of our clients. We thrive on creative challenges and embrace the opportunity to take on projects ranging from traditional to contemporary with a thoroughness and attention to detail typical of our process. Solow Design Group's portfolio of published work includes Southern Living Magazine, SouthPark Magazine, CITI Magazine, Charlotte's Best, Women's Voice, Charlotte Home & Garden, Charlotte Home Design, Urban Home Magazine, Charlotte Business Journal, Charlotte Business Journal Luxury Living, and the Charlotte Observer. Solow Design Group's work has been showcased on the Mint Museum, Wing Haven, Dilworth, Elizabeth, Carmel Crescent, and Concord Home & Garden Tours, as well as numerous ASID Symphony Designer Homes, and Southern Spring Shows. Groundworks studio is a small, award-winning landscape architecture, urban design, and public art firm located in the historic urban neighborhood of Plaza-Midwood in Charlotte, NC. We have a passion for landscape, art, history, and urban regeneration. We seek to understand each site's unique environmental and social systems inspiring our designs of layers, textures and meaning. We strive to create imaginative, beautiful and functional landscapes that are ecologically restorative. Our work spans the rural to urban spectrum, but we are particularly committed to restoring vitality back to cities. Services include conceptual planning, design, construction documentation and construction administration. Our studio collaborates with teams of architects, artists, engineers, ecologists, and our clients to make design concepts come to life. Groundworks studio was established in 2007 and is a certified Small Business Enterprise with the City of Charlotte. Established in 2002, Myron Greer Garden Design has quickly become synonymous with superior garden design and outdoor construction in Charlotte, NC. We are a full-service Landscape and Garden Design build firm. Design excellence includes landscape and garden areas, with expertise in creating and implementing hardscape areas such as outdoor entertaining and cooking spaces, swimming pools, and outdoor garden structures, such as cabanas, pergolas, and porches. Additionally, terraces, walkways, retaining walls, and beautiful water features are part of our distinct look. Myron Greer Garden Design strives to incorporate environmentally friendly and eco-conscious outdoor lighting, drainage, and irrigation systems into our master plans. We pride ourselves in creating and delivering exceptionally beautiful and functional spaces. With practical yet distinctive garden design, superior construction supervision, and personalized customer service, our clients can be assured an excellent experience. 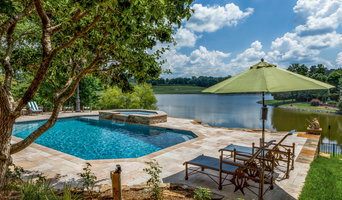 Bruce Clodfelter and Associates is a landscape architecture firm that has specialized in the design of unique gardens and landscapes since 1996. Each project is carefully tailored to fit the taste and personality of the client, while respecting the physical realities and environmental concerns of the site. Each project is viewed as an opportunity to create a beautiful, functional, living work of art. Our work has been featured in numerous local and national publications, including Fine Gardening Magazine, Better Homes and Gardens, Landscape Architecture Magazine, Carolina Gardener, Charlotte Home Design, and The Charlotte Observer. Our work has won numerous awards from the N.C. chapter of the American Society of Landscape Architects. In 1999 Bruce Clodfelter and Associates won the prestigious Golden Trowel award from Garden Design Magazine. We are an all-in-one custom landscape design service that offers ongoing maintenance anytime you need us. We create 3D renderings of your property with a new landscape for you to be able to see what you are getting before actually buying. We are personal and we listen to our customers to achieve the best design pertaining to their deepest desires, wants, and wishes. We also offer lawn care maintenance to keep your grass mowed and your bushes pruned. SCLA creates outdoor spaces to "delight the eyes and refresh the spirit." Studio Cleary's projects include finely-detailed courtyards, landscapes, and estates for clients often looking for something "out of the norm", yet sympathetic to historic precedents, from classically- and European-inspired gardens to midcentury modern ones. Bold design statements and inspiring horticulture come together with water elements, stonework, entertaining areas and outdoor kitchens to blend harmoniously with the home's architecture & setting. From Conceptual Design through the completed construction, all efforts are focused on ensuring the least amount of surprises and a finished product with the highest quality and attention to detail that your investment deserves. 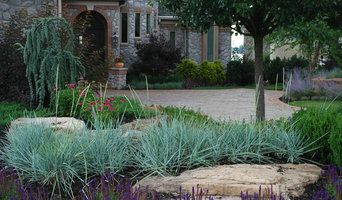 2STIX Landscape Architecture is a premier Residential Landscape Design and Build company in Charlotte, North Carolina. Our primary focus is on the design and installation of residential landscape renovations, restorations, and additions. Garden Design offers quality landscape design services for both commercial and residential construction. Rosewood Garden Designs is a Charlotte North Carolina area landscape contracting company offering design-build services to residential and commercial customers. Whether your garden is in need of rejuvenation or a complete renovation, Rosewood Garden Designs can develop and execute a comprehensive plan to suit your landscaping needs. Syd (General Manager) and Jeni (Founder), believe there are three keys to building and maintaining a successful garden project…management, execution and follow up. To that end, the company does one project at a time; the principals participate in each installation and assure the establishment and long term success of each garden through follow up site visits and timely communication with each client. We take pride in our work and strive to ensure the investment in your new landscape is an ongoing success. Veronica Westendorff, owner of Westen Design, is a registered Landscape Architect with over 22 years of experience in residential, commercial, office, and institutional landscape architecture. As a member of the American Society of Landscape Architects, Veronica specializes in custom garden & landscape design, and has the ability to transform an ordinary landscape into something truly wonderful that fits your individual lifestyle. The work of this outdoor professional includes most everything surrounding a home's exterior. A landscaping architect can even work with the home architect to choose the right spot for your India Hook, SC house. From there the India Hook landscaper will develop preliminary concepts for your front or backyard design based on individual needs including the climate and activities that will take place, as well as layouts and planting plans. Landscape architects will also design any structures or outbuildings that will be added to the space. Any grading changes that will be added to the yard are also the responsibility of the architect. This includes any drainage modifications. An engineer can also be responsible for these tasks, but licensed South Carolina landscapers are fully capable. Like building architects, they will produce preliminary concept drawings as well as detailed construction documents and planting plans. Three-dimensional renderings and illustrative plans are all supplementary. A India Hook landscaping designer generally will have ecological, aesthetic and technical training, which helps them maximize the potential of your outdoor space. Keeping in mind both style and functionality, garden designers analyze your architecture and yard to produce a plan that may or may not include location and materials for walkways, patios, water features, fences, garden aspects and more. In addition, a landscaper in India Hook, SC will carefully assess your geographic region to choose plants, trees and flowers that will flourish naturally, as well as address concerns such as drainage, screening and soil conditions. Certain landscape designers only help with the planning portion, while some may deliver the plans and then oversee a hired landscaping contractor. Others — typically following a design-build approach — take care of both the design and all aspects of the landscape architecture and construction. Before you hire a South Carolina professional landscaper, consider the scope and emphasis of your outdoor project. Landscape architects, who typically hold advanced degrees in their field, are trained to develop comprehensive structural plans that include plants, hardscaping, water use, drainage and more. Landscape designers typically specialize in the aesthetic and horticultural, rather than structural, side of yard and garden planning. They might or might not have advanced training. Even within their fields, a garden designer may specialize in hardscape- or vegetation-focused designs. In some cases you might need to hire additional help to get the outdoor space you want. Here are some related professionals and vendors to complement the work of landscape designers: . Find an India Hook landscape architect on Houzz. Narrow your search in the Professionals section of the website to India Hook, SC landscape architects and designers. You can also look through India Hook, SC photos to find a space you like, then contact the professional who posted the photo.